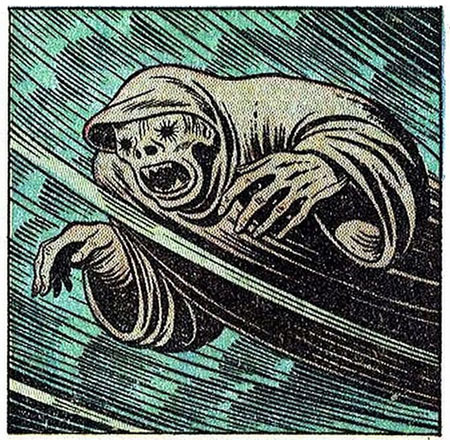 Countdown to Halloween, Day 26: The Ghosts of New Orleans – Dork Forty! 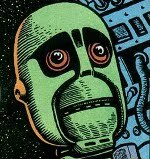 Just ’cause he’s weird and awesome. 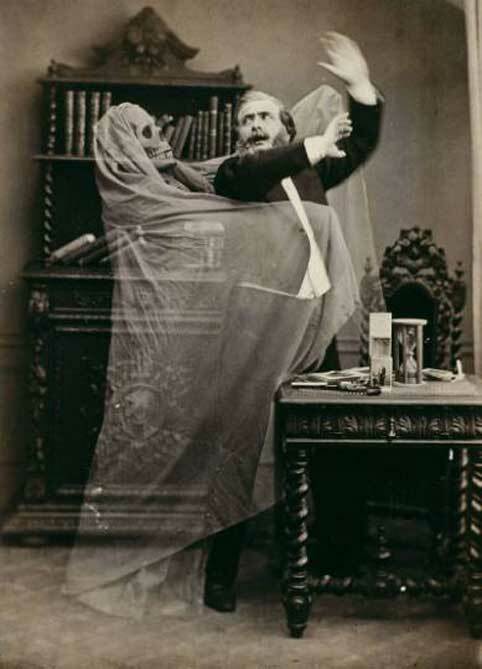 Picture #2: A fine piece of 19th century trick photography– I mean… An amazing ghost picture from the early days of the photographic arts. Because of course it’s real! Can’t you see how terrified that man is?! I understand that he dropped dead immediately after this picture was taken, and was then eaten by a rabid horde of vaporous musk rats. Picture #3: Every bit as real as the last one! 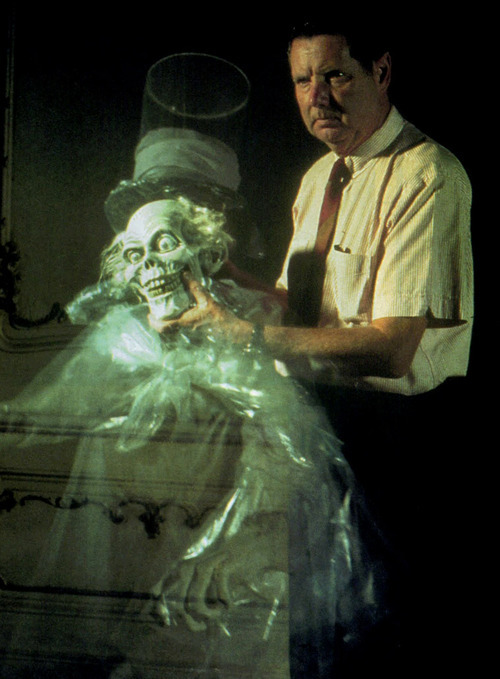 Disney technician– I mean, Ghost Wrangler– Yale Gracey tests out the Hatbox Ghost in the Haunted Mansion ride to make sure the ghost head doesn’t get loose and gnaw at the ankles of unsuspecting tourists. And finally, our song: “The Ghosts of New Orleans” by Ballboy.